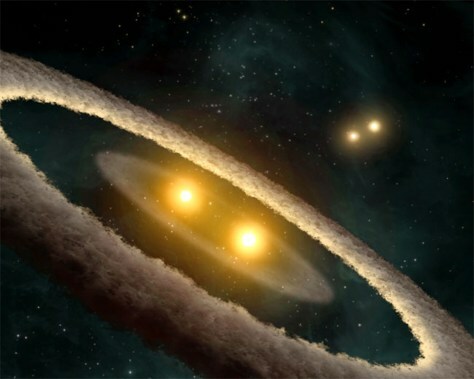 This artist's concept illustrates a quadruple-star system. The system is still relatively young, at 10 million years old. One of its two pairs of stars is known to be circled by a dusty disk, which contains materials that are thought to clump together to form planets.